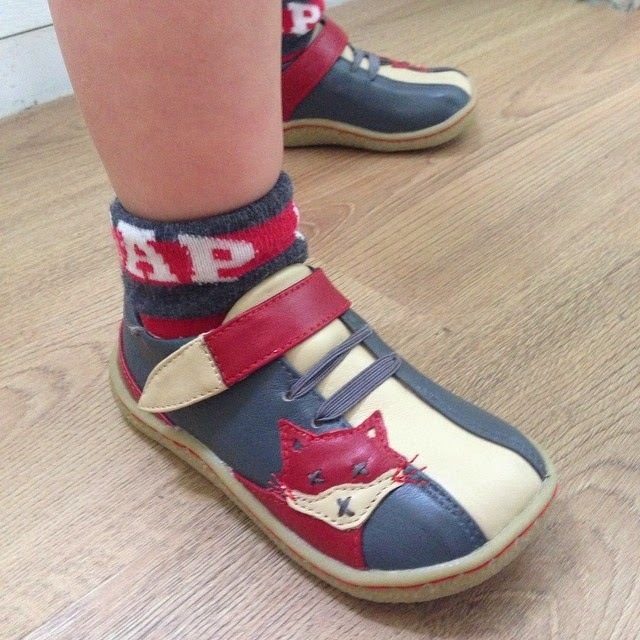 Mum of Five Staying Sane: Our first, and certainly not the last, Livie and Luca shoe purchase, the fox grey shoes. Autumn/Winter collection now online too. They are a must have for any toddler winter wardrobe. Our first, and certainly not the last, Livie and Luca shoe purchase, the fox grey shoes. Autumn/Winter collection now online too. They are a must have for any toddler winter wardrobe. In the past week I have shouted from the rooftops about our recent purchase but I am so in love! I am shoe obsessed so I am always on the lookout for something different, something eye catching yet still comfortable for a toddlers feet. A couple of months ago I was undecided about whether to buy a pair of shoes I had seen on the Livie and Luca website, in the end I opted for a trip into Clarks and got a pair from there. I was disappointed that I had done so as Thing 5 ended up in the same pair of shoes as most other toddlers his age, or so it seemed. They were a lovely looking pair of shoes which is why they seemed to be quite popular I suppose but I should have bought the Livie and Luca's! Anyway, two months later and Thing 5 has grown a whole size so I was faced with another shoe purchase, it's a hard life! That's when the fox grey shoes on the Livie and Luca UK Facebook page caught my eye. They were so cute and certainly something different from other shoe styles around. We had to have them. The Fox Grey that we purchased, showing our Livie and Luca love! Thing 5 was being destructive and tipped the red heart glitter on the floor moments before I took this picture but it worked out well in the end! 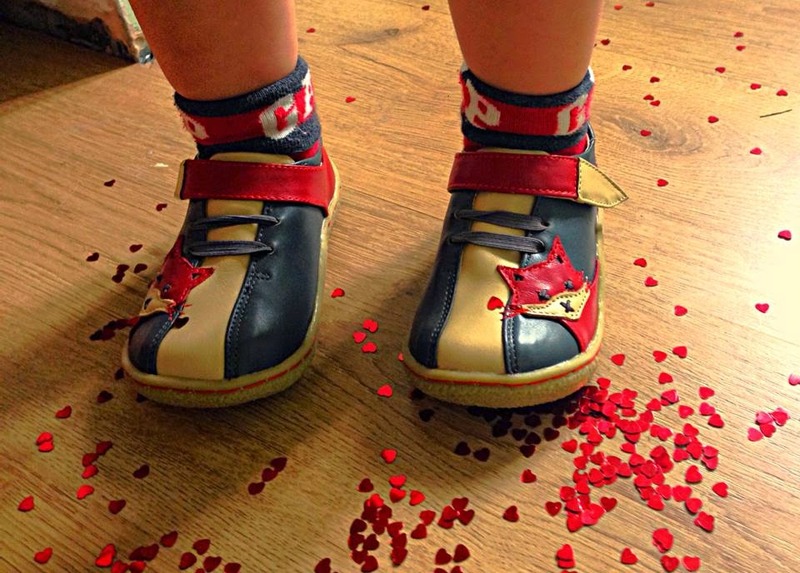 Livie and Luca's tagline reads 'adorable shoes for adorable feet' and they certainly live up to that tagline. Made from brightly coloured leathers with flexible soles there is a design to suit every style and occasion. Each shoe is handmade and they use remains of high quality leather that would otherwise be discarded, making each pair of shoes as unique as the child that wears them. The fox grey shoes are adorable. 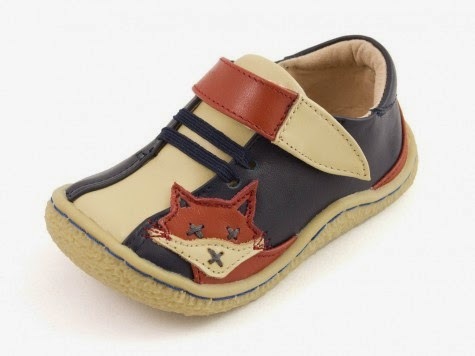 With blue and cream leather, as well as the gorgeous red fox on the side of the shoe with his tail wrapping around the back of the shoe and onto the velcro fastening. New for this Autumn/Winter is the new fox navy shoes. The same gorgeous design but with navy leather and a brown fox rather than red. This style is equally as scrummy with just a colour adjustment for the new season. I would definitely recommend this style for the Autumn/Winter season. New Fox Navy colour for this season. I now have my eye on a pair of boots to complete our Winter footwear wardrobe. The Hungry Mocha, nom nom nom!! 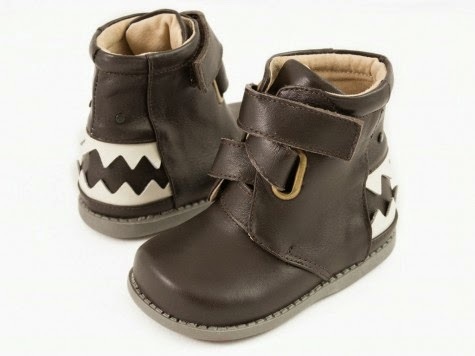 A mocha leather exterior with white chomping teeth on the back of the boot, natural leather lining and velcro fastening. Hungry Mocha, is definitely next on my list. Hopefully soon we can get our hands on these gorgeous boots. 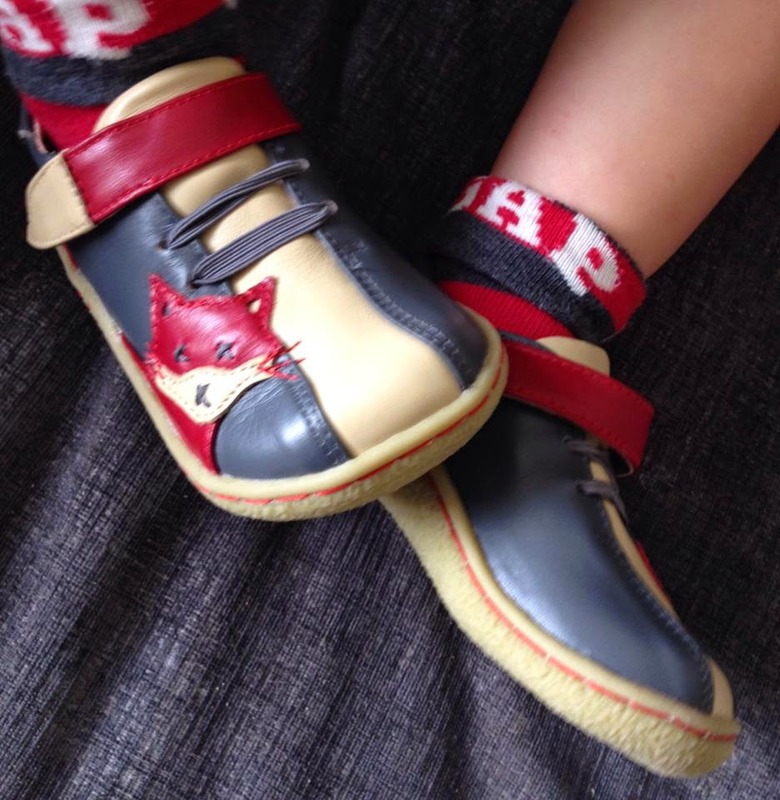 With a gorgeous array of girls shoes too, Blossom Grey and Hedgie Navy are just two of my favourites, they cater for boys and girls both young and old so head over to the website for shoes that are full of character and lots of fun.